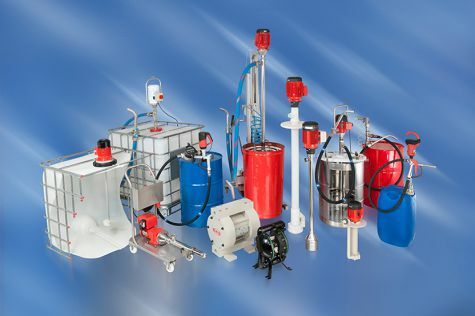 Pumping, emptying, mixing, filling and metering ‒ when liquids are set in motion the requirements are very diverse. In any case the process must run smoothly. This is what the FLUX brand name stands for. It is recognized across the globe as a byword for quality, for safety and for solutions which are able to fulfil every single demand on a long-term basis. Smooth-running processes ‒ FLUX not only guarantees this for liquids which are relatively easy to pump but also when the pumping medium is viscous or doesn’t flow at all, when it is aggressive or used in processes which are common in the hygiene sector or sectors where there is an explosion hazard. To ensure that the tasks are solved in the best possible way for the customer FLUX has a huge range of expertise to offer. In other words, a lot more than just pumps. From a technical point of view this means a comprehensive product system of pumps, motors, flow meters, accessories and a whole lot more.